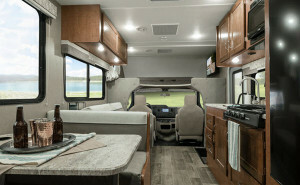 While class C motorhomes are typically priced between $50,000 and $80,000, finding something that’s in your budget can be quite difficult, and you’ll hardly notice any new ones for sale at the lower end of that price range. However, that doesn’t mean that they’re non-existent. A lot of places, especially our website, have a variety of budget class Cs that are affordable, reliable, and will last you for a long time. 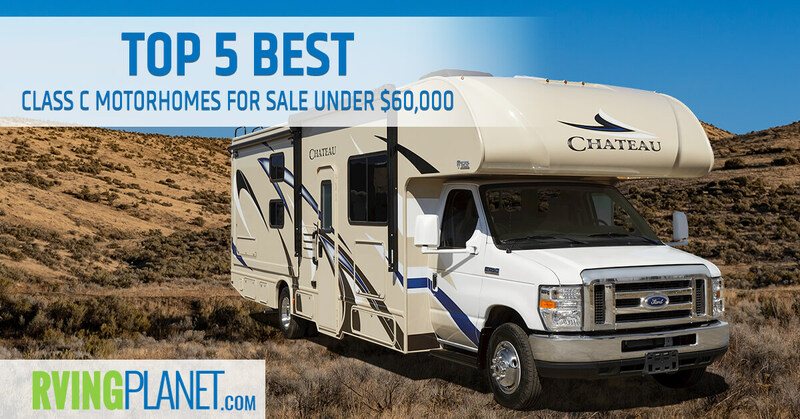 Read on to discover the best budget class C motorhomes for sale under $60,000! 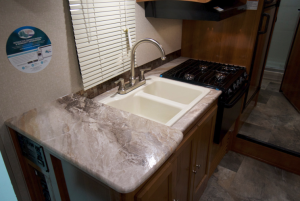 What puts an RV on the list: Aside from our picks being the top-rated RVs, we’ve also taken into account each of their floorplans to see the kind of variety they provide, the actual user reviews on forums across the internet, and their prices on our website! Why we recommend the Coachmen Freelander Class C Motorhome: Possibly one of the smallest class Cs you’ll notice is Coachmen’s Freelander, which has floorplans such as the Freelander 20CB Ford and Freelander 21QB Chevy that are under 25 feet, this makes them well under the estimated length of 27 feet that any RV should be to camp across the United States. That, when combined with its light weight of ~9000 lbs, truly makes it worthwhile for couples. From some of the absolute necessities, such as fire extinguisher and smoke detectors to convenient paraphernalia such as a Wi-Fi ranger and a command center, the freelander has everything sorted for your next camping journey. 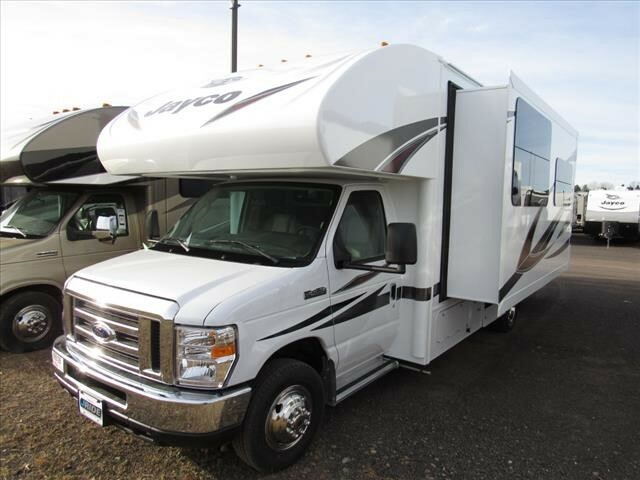 If you wish to take it up a notch, it also has a myriad of options that includes a child safety net, exterior 32 inch TV with a bluetooth sound bar, ASA side view camera, Canadian compliance, and more! 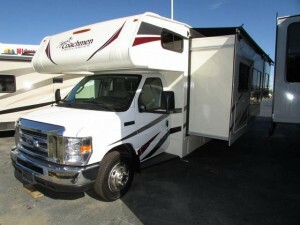 The 5-Star Class C Made For Couples! View All Winnebago Outlook Class C Motorhome Floorplans! 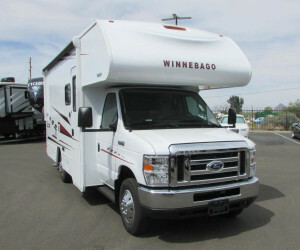 Why we recommend Winnebago Outlook Class C Motorhome Motorhome: While the Outlook 25J floorplan by Winnebago has already earned itself a flawless 5-star rating on RVP, many other users have good things to say about this RV, which isn’t a surprise considering it provides a lot for its price. 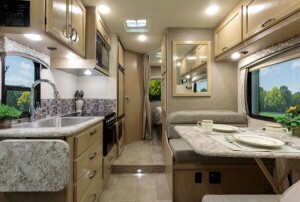 While it has floorplans that provide bunk over cab, it’s better for 2 or 4 people, much like the Freelander – also making it one of the best class C motorhomes for sale under $60,000. 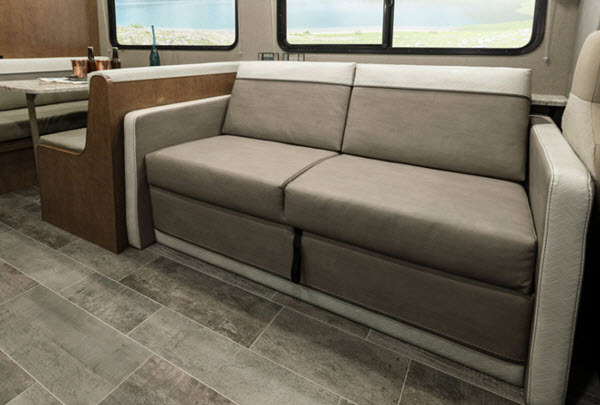 On the inside, the Outlook features a vinyl ceiling, pleated night shades, vinyl flooring, and tinted windows for a totally breathtaking look. 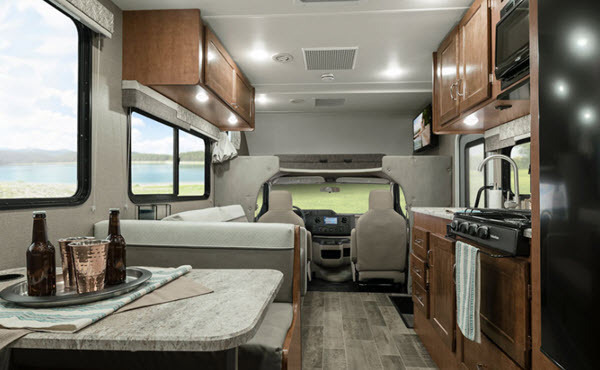 On the outside, it’s finished with a premium high-gloss fiberglass skin, a large storage compartment, a ladder to access its roof and powered patio awning, among many other useful features just like these. The features vary a little bit depending on the floorplan but these are the ones that stay the same throughout. 5 different floor plans available! 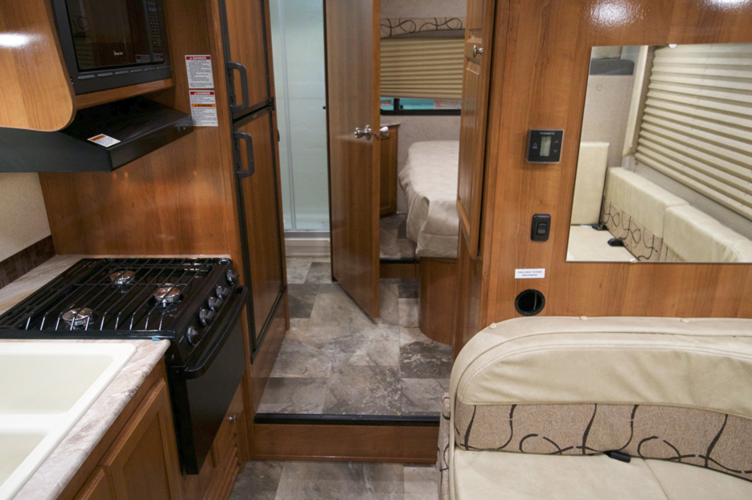 View All Thor Chatau Class C Motorhome Floorplans! 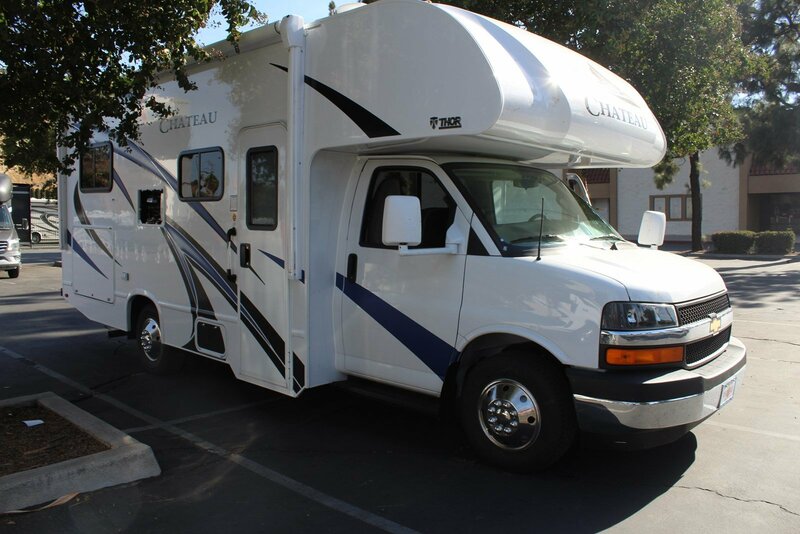 Why we recommend Thor Chateau Class C Motorhome: One of the oldest and the highly recommended class Cs – RVingplanet or otherwise – is Thor motorhomes, especially the Chateau class C motorhome. Priced a few thousand dollars under 60 grand and you’re still getting a choice of over 10 floorplans, a range of different sleeping capacities, and a large list of luxurious features. We recommend checking out the following floorplans: Chateau 22B Chevy and Chateau 22E. In truth, the Chateau features an exhaustingly long list of features, plenty of them being noteworthy enough that a single paragraph doesn’t do them justice. 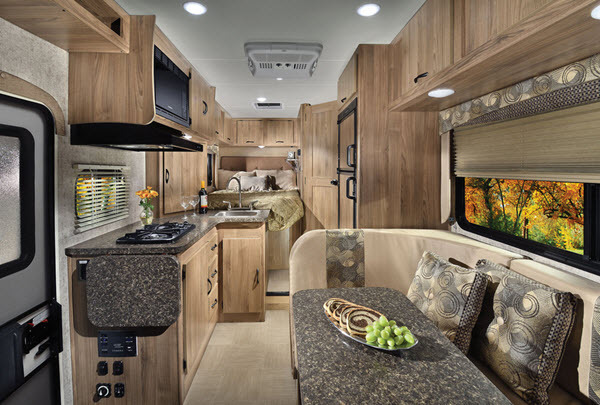 However, among the best of the best of those features are a keyless entry system, leatherette material on the driver’s chair, high sheen cabinetry, ceiling ducted air conditioning system, one-piece TPO roof, and a mega-storage compartment. If that wasn’t enough, it has premium package that adds a bunch of other amenities and upgrades some existing ones as well! 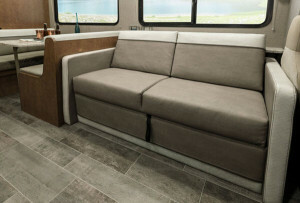 Why we recommend the Jayco Redhawk Class C Motorhome: Right from the Stables of the ultra-popular Jayco RVs is the Redhawk that has also made it to our other top 5 lists such as Top 5 Best Class C Motorhomes With Bunk Beds. 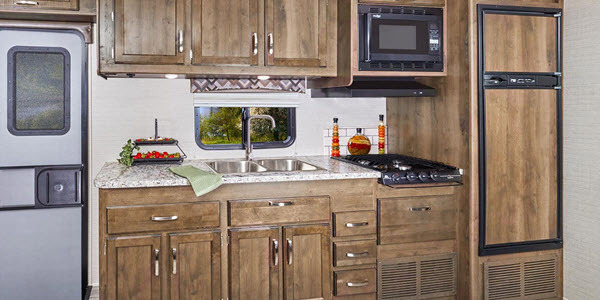 It’s also one of the few lightweight class C motorhomes for sale that actually features bunkhouses. It’s a bit more spacious with floorplans such as the Redhawk 22J and Redhawk 25R spanning 32 feet, which gives maximum space and allows a sleeping capacity of 8. With a bead foam insulation that adds R-15 roof insulation, R-9 floor insulation and R-5 wall insulation, the Redhawk is great for winter camping too, especially due to the 31,000 BTU that will keep you warm and cozy. Apart from that, it also features JRIDE, a computer balanced driveshaft that adds a bunch of shock absorbers used in sports cars and other mechanical additions that make driving a breeze–whether you’re traveling light or you have your storage full. View All Coachmen Leprechaun Class C Motorhome Floorplans! 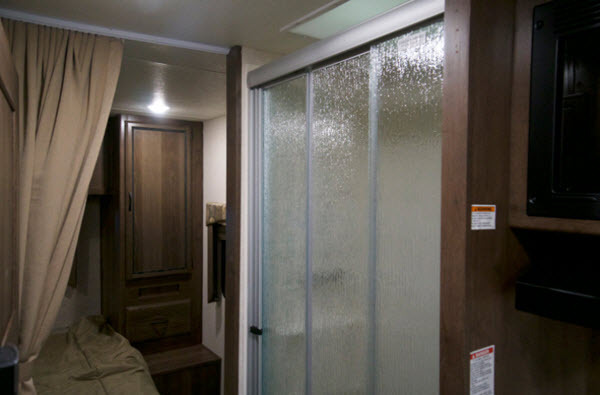 Why we recommend the Coachmen Leprechaun Class C Motorhome: On the durable side of things we have the Leprechaun class C that features 15 floorplans, a lot of which are priced under $60,000 such as the Leprechaun 210QB Chevy 4500 and Leprechaun 210RS Ford 350. Of those 15, a lot are also under 27 feet and sleep up to 6 people, which is great if you’re aiming on tailgating but still are looking for something that camps easily and is well within your budget. 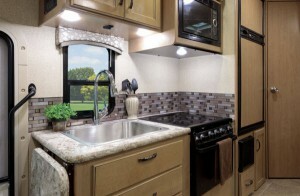 In terms of features, the Leprechaun is similar to Coachmen’s Outlook, where the floorplans are divided into 2 groups with different features, the models with the ‘Value Leader Package’ being slightly more upgraded but otherwise featuring the same Vinyl flooring, 3 burner cooktop, power awning, tinted windows, and the Azdel sidewall construction that the ‘Premier Package’ features. 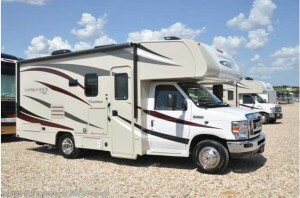 Share with us your favorite class C motorhomes for sale under $60,000 in the comments below!